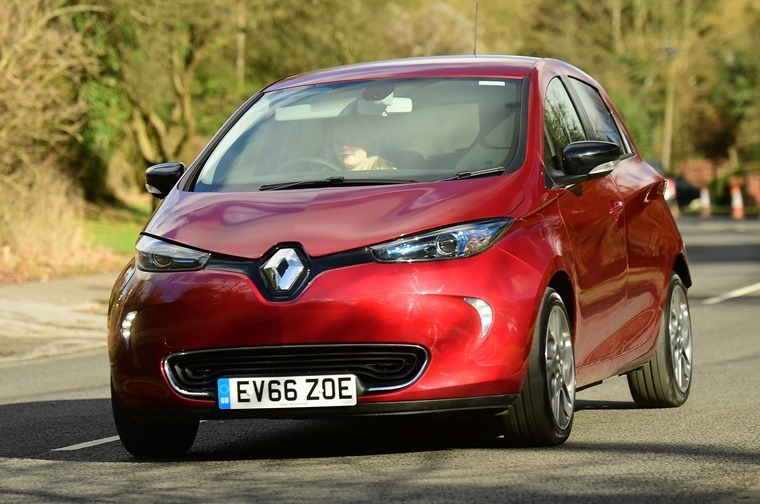 The updated Renault Zoe is a cracking little supermini, and if there was ever an EV that makes perfect sense to lease, this is it. Pure electric cars are proving a little more difficult to sell than hybrids. Nobody's quite sure what’s preventing widespread take up, with just 5,000 or so cars being registered so far this year, against close to a million cars sold so far, but a combination of old-fashioned range anxiety and some rather robust pricing models have made many traditional buyers baulk. 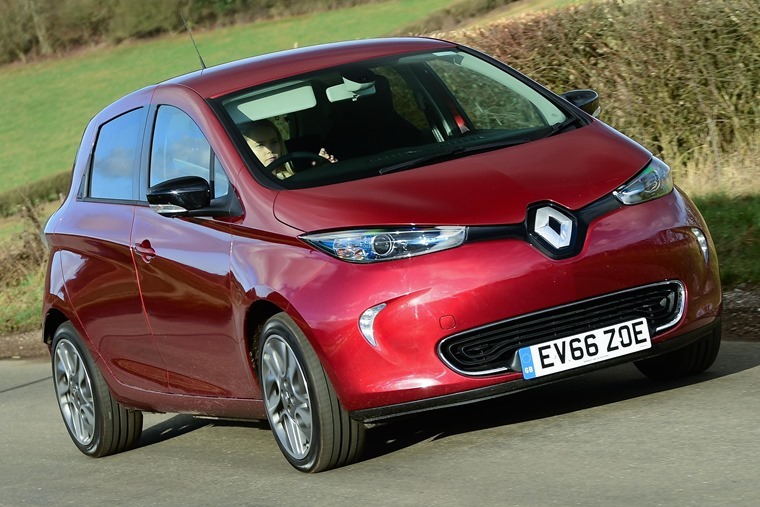 Renault is taking a stab at solving the problem with its revised Zoe, a pure electric hatchback that looks as cute as a button and doesn’t cost the earth. Open the bonnet and you’ll find an electric motor that pumps out a generous 87bhp. It’s not unconventional, like so many early EVs, looking a little like a more streamlined and elegant Clio, which is perhaps not a coincidence - the chassis is loosely based around the old Clio, which means it’s a solid base to work on and everything under the skin is where you expect it to be. Open the bonnet and you’ll find an electric motor that pumps out a generous 87bhp. That serves it well in the city, where there’s a zestiness to the performance that makes the urban fight almost pleasurable, but it feels a little wooden when it comes to manoeuvring. As with its competitors, it’s a piece of cake to drive, with just ‘D’ to select before accelerating and braking without the need to bother with anything so cumbersome as gears. Drive to the limit of speed and you’ll quickly start eating into its range, but these cars rarely venture out of the city. It gets strained at higher speeds, making progress above 40mph more of an effort than it really ought to be. The sheer bulk of the car (close to 1.5 tonnes thanks to those electrical gubbins) makes it quite lethargic in the corners, the body rolling a little more than is comfortable. At the same time, the stiff sidewalls of the eco tyres send many of the small imperfections in the road through to the cabin. Drive to the limit of speed and handling and you’ll quickly start eating into its promised range, but these cars rarely venture out of the city. And it’s this town-dwelling demographic that leaves me wondering why this revised model now promises a 250-mile range. It’s an impressive feat certainly, but it feels like a lot of extra technology and expense that’s been added to the car for little reason. Yes, there will undoubtedly be a handful of drivers to whom this will be a very good thing indeed, but for most urban warriors it’s probably best to look at the lower (and cheaper) end of the Zoe range. Whichever battery option you choose, you lose nothing in practicality. Whichever battery option you choose, you lose nothing in practicality. 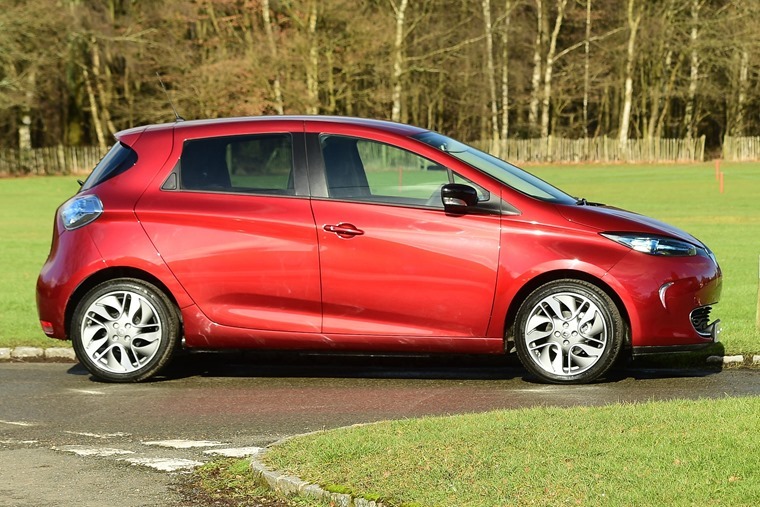 Where the fuel tank normally hides away is where Renault has slotted the battery pack, so the boot remains useable with 330 litres of space – about average for its class. There’s not much space in the rear seats, but enough to keep a couple of children in without a problem, while up front there’s more than enough room for two as long as you don’t mind occasionally rubbing shoulders, but it’s no worse than any other supermini. The dashboard is pleasingly normal, with no sign of this being some quirky EV. The dashboard is pleasingly normal, with no sign of this being some quirky EV that has to remind all and sundry that you’re saving the planet a mile at a time. The only hint is the digital display in front of the driver that shares battery life and range, but the rest is conventional and unsurprisingly Clio-like. 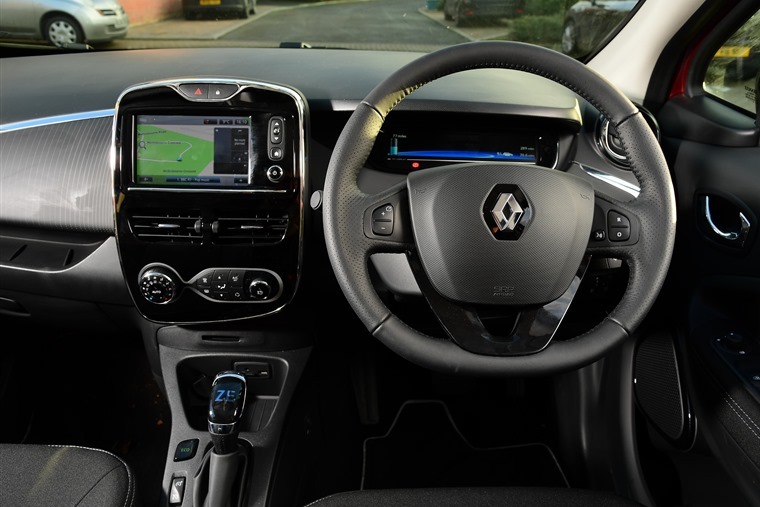 Equipment levels are reasonably strong too, with even the entry-level model getting cruise control and climate control as standard, alongside Renault’s seven-inch touchscreen infotainment system and TomTom’s satellite navigation. 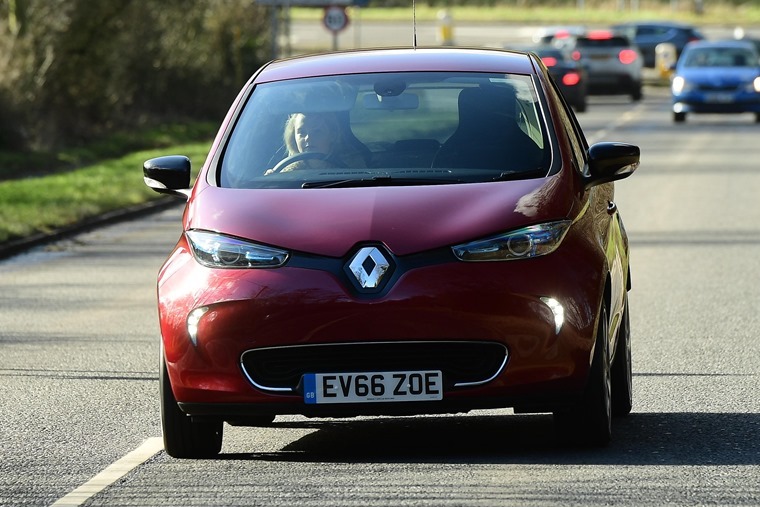 Renault has elected to fit the Zoe with rapid charging capabilities, so that means a near-full charge at a high capacity charger can be carried out in an hour, while the home charger that’s included in the price can fill the battery in around seven hours. 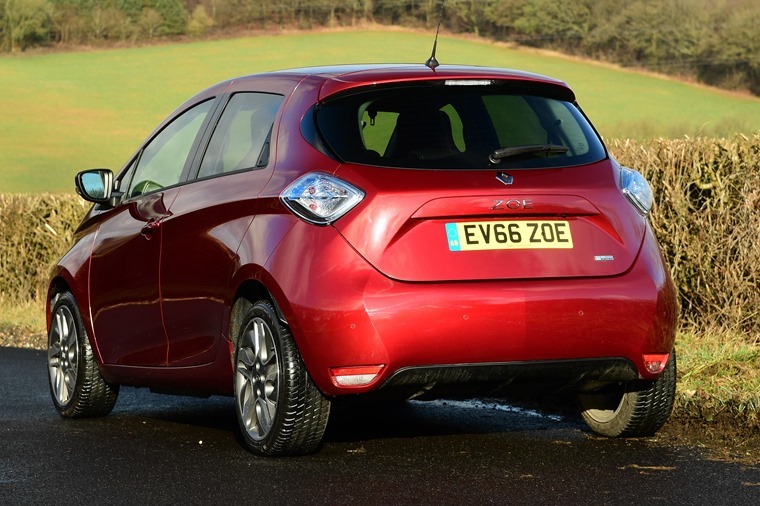 Despite some small failings, the Zoe is a cracking little supermini. Price-wise, this top-spec Signature Nav model has a headline price of £21,170, but the range starts at just £14,245 - undoubtedly competitive prices, and that goes for lease deals too. If there was ever an EV that makes sense as a lease, it’s the Zoe. If you lease one, the price includes battery rental too. Cash buyers still need to pay £69 per month for the Z.E. 40 long-range battery, while opting for complete battery ownership would push the price up by a hefty £5,600; as a lease then, the Zoe makes perfect sense. All in all, the Zoe really is a lovely little thing. If you can accept the limitations of an EV, and are prepared to sacrifice some of that range and stick with the lower powered model, then it’s also a bit of a bargain, especially when the battery lease is included. It’s probably not quite good enough to win over all the doubters though.